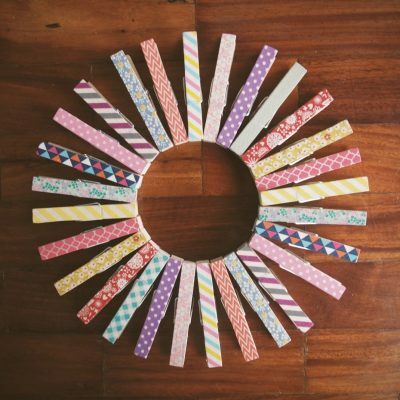 Use these washi tape decorated wooden pegs to hang your photos. You can also put them on your fridge to post your reminders. Simple wooden clothespins can be found at any dollar store!